This is an excellent recipe to turn to for a no-fail, crowd-pleasing apple dessert. 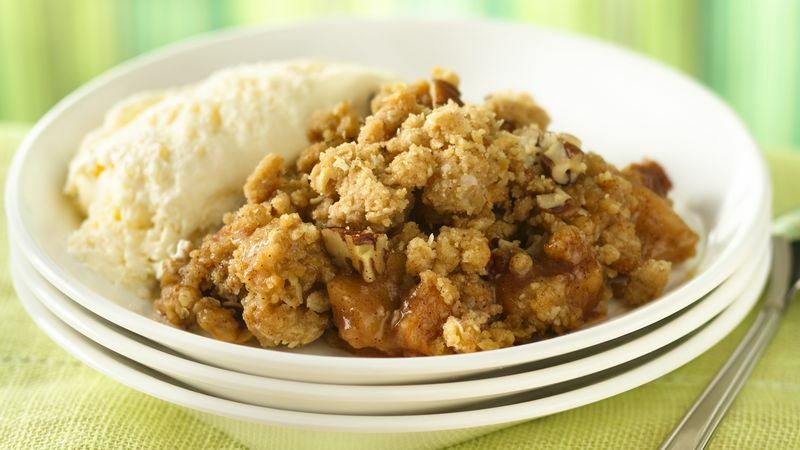 The nostalgic feeling of baking an apple crumble is reason enough to get excited about making this recipe, and the short ingredient list might just have you doing cartwheels. This particular recipe calls for Betty Crocker’s oatmeal cookie mix, guaranteeing that this sweet treat’s topping will be nice and crunchy, especially with the addition of pecans! We get it, it’s hard to choose between all of Betty’s apple crisp and cobbler recipes, so don’t hesitate to make a few different recipes this season. And if you love apple desserts, explore Betty’s best tips for baking with apples.